WooCommerce has been an increasingly popular choice as an ecommerce platform since it was first created. It quickly became the most used e-commerce tool in the world. Woocommerce is a WordPress plugin, and one of the most popular plugins available. At the time of writing this there are over 4 million downloads from the WordPress plugin directory! But just because something is popular doesn’t mean you should be doing it too, right? Well, in this situation that’s not a bad reason. I’ll get into that a bit more in a moment. I’m also going to give you several more reasons why should you be using Woocommerce for your online store. So, should you consider this popular WordPress eCommerce plugin? Personally, I think that WooCommerce is a perfectly legitimate platform to build an eCommerce store on. Read on to learn why! You’re no lemming! You’re a website owner, a leader, a visionary, an entrepreneur! You don’t follow the crowd! But, hang on a minute. If so many people are using something, it’s often a good indication that it’s a solid choice and WooCommerce is no exception. WooCommerce’s user base continues to grow drastically. That means; new features, functionality, updates, upgrades, extensions, plugins and a huge community of users who can provide support. I know, free products aren’t always good quality. You get what you pay for, right? Well, with WooCommerce, you get a lot for a $0 price tag. You get a fully functioning versatile eCommerce platform that is extremely popular and well supported with a high level of extendability. If you’re just starting out, a free online store system that works really well is a great choice. Coupled with WordPress, which is also free, and by nabbing yourself a free theme, you can literally set up your eCommerce store for $0! There’s a bit of a learning curve involved and a significant investment of your time but if you’re on a tight budget, it’s a great way to get started. As your business grows you can upgrade to a premium theme or hire a WordPress design agency to design you a custom WordPress theme. There’s plenty of premium add-ons that allow you to provide exciting functionality for your customers too. Difficulty level: easy. Installation and configuration of WooCommerce is straightforward and intuitive. You can get set up with your first product in under an hour. The options are clearly laid out and there’s a lot of support out there to help you get started. Don’t forget, you can always hire a professional if you get stuck or you want to outsource the work! It’s free, it’s easy, so… can it also be professional? It can! I know, too good to be true right? The fact that WooCommerce is free does not affect its quality. WooCommerce makes it’s money by charging for upgraded features which you may not need in order to run your online store. The freemium pricing model becomes increasingly popular with high value products and offerings being readily available from various industries. WooCommerce is no exception. Out of the box, WooCommerce offers professional features such as sales statistics that are divide sales by total, date, average expense as well as all the other data we might need. It’s simplicity allows you to keep control over each order your customers will place without running any risk about them being lost or experiencing malfunctions. Customising WooCommerce by adding plugins and extending its functionality won’t make it fall over and stop working either. Its popularity means it has many users and developers working on it all the time making sure it stays standing. When it comes to finding a developer for your WooCommerce project, you won’t have a hard time finding someone who can claim expert level knowledge and demonstrate a slew of project experience. A big user base means high demand for technical experts to support the platforms growth and functionality. This means you’ll never have to look far if you’re in need of help. Get in touch with us today for a free consultation on how we can design and develop your WooCommerce store for you. 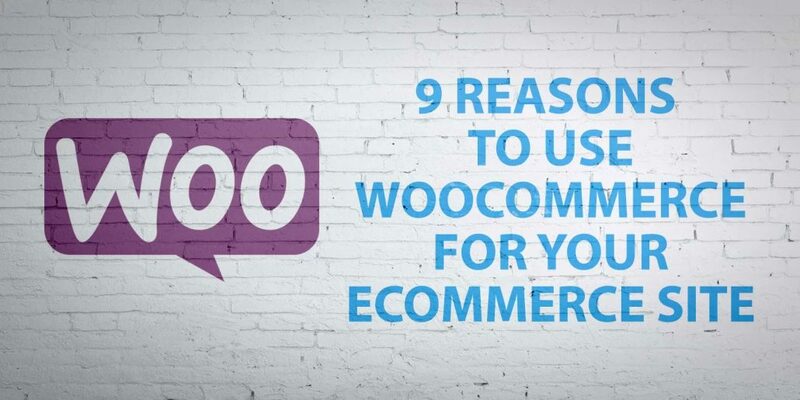 WooCommerce is a one-size-fits-all platform. WooCommerce is in the business of providing a solution that works out of the box for most types of online stores. Whether you’re selling t-shirts, membership subscription services, digital downloads, WooCommerce supports them all. We can’t say the same for all the other eCommerce platforms out there. Content is King, right? If you own an online store, you’ll know that creating content that drives targeted traffic to your website is an essential tool to driving sales. Articles and blog posts are a critical component of your Inbound Marketing methodology to support your organic SEO strategies. 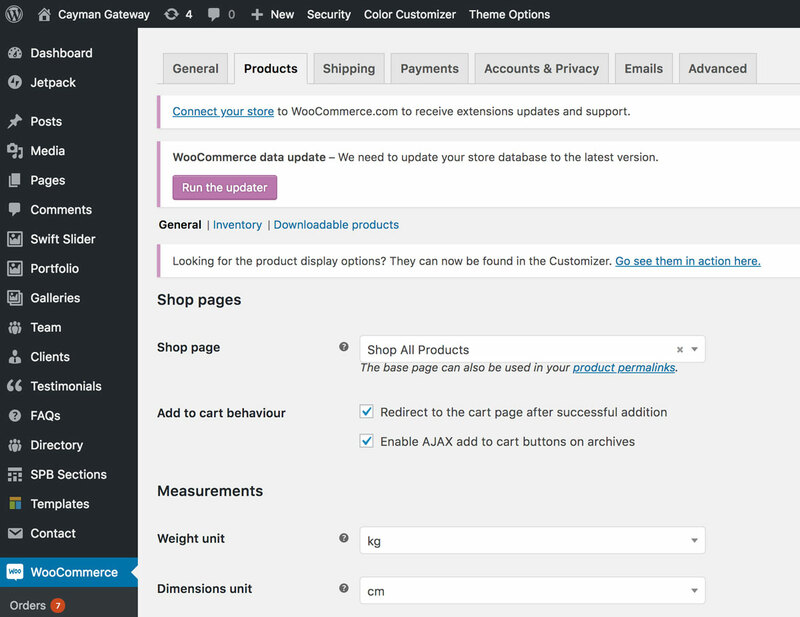 WooCommerce runs on WordPress which is a fantastic option as a Content Management System (or “CMS” for short). Primarily developed as blogging software, WordPress now powers a significant portion of the world’s websites and businesses are no exception. When you combine these two powerhouses you get the benefit of a very versatile eCommerce system. Other platforms may require you to build a separate website to post your blog posts and articles to with the need for some fancy interlinking trickery. This can result in a significant loss in traffic and a drop off in sales. I know what I’d prefer! Wondering if WooCommerce will integrate with your choice of accounting software or CRM? It’s likely that WooCommerce will. Looking for an eCommerce platform that integrates with your choice of payment gateway or shipping calculator? WooCommerce is your man. Due to it’s overwhelming popularity, it’s the top choice for 3rd party products and services to integrate with. That means that there is already a plethora of integration options to choose from. It’s essential that products and services integrate with the big players on the market, like WooCommerce. New integrations are being written all the time. Cayman Gateway, for example, a new payment gateway in the Cayman Islands, has just developed a WooCommerce plugin to allow website owners to take payments through their gateway. It’s that popular. But it doesn’t stop there, let’s not forget the features! Each eCommerce website has different requirements so you may need to extend the native functionality of WooCommerce to accommodate your requirements. Fear not – there are hundreds if not thousands of plugins to choose from. You might be lucky to find plugins right off the shelf that fit your needs. Hire one of the many expert developers out there who specialise in WooCommerce development and they’ll write you a plugin that does what you want. Easy peasy! Yes, WooCommerce is scalable. I will be completely honest with you, if you’re running a thousand sales per minute on your site, WooCommerce might struggle. But with a bit of work, it can handle it. She’s a hard worker and can be made to handle more than she’s built for right out of the box. Easy to use – download, install and go! Professional – sales data stored and presented simply. Extensions – Hundreds of plugins and integrations available. Reliable – It’s popularity means it’s always supported and updated. Scaleable – Grow your online business and WooCommerce will grow with you. It’s a great solution for your online store regardless of what you’re selling and with a wide array of plugin options that extend its native functionality, you’ll be spoilt for choice. If ever you run into any problems, or need to extend the features of your store, there will always be someone to turn to.